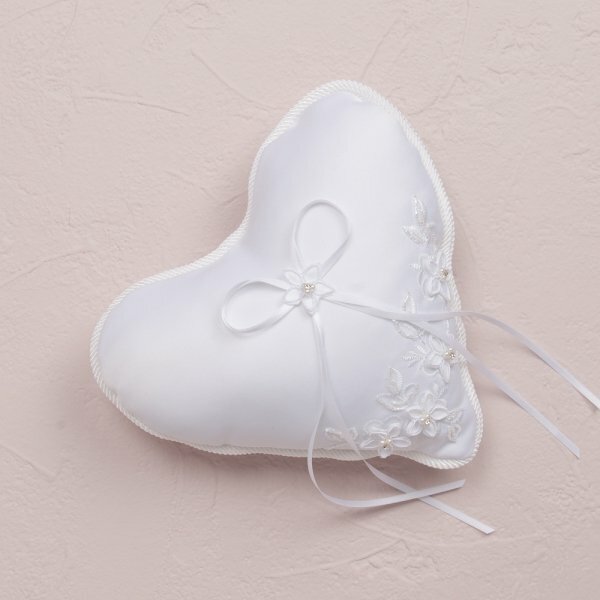 Continuing the tradition of hearts at weddings, our Floral Fantasy Heart Shaped Ring Bearer Pillow will be extraordinary. 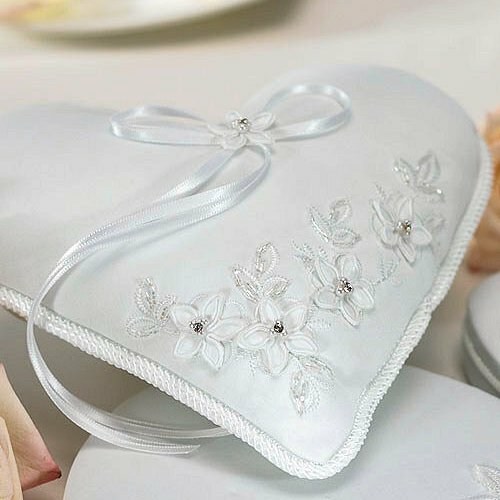 This distinctive ring pillow is beautifully decorated with hand-beading and delicate embroidery for the perfect finishing touch. Carry the heart theme that is included in each piece of the Floral Fantasy Collection through to your ring bearer. Product dimensions are approximately 7".